Like any other community team, the Microsoft SharePoint PnP needs logistical organization. Setup by Microsoft, that logistical body for the PnP is called the ‘PnP Core Team’ and is comprised of Microsoft employees AND MVPs (non-Microsoft employees) that have been significantly involved in PnP contributions. The PnP Core team helps manage the code and sample contributions and answer questions in the GitHub repositories, among other helpful tasks. 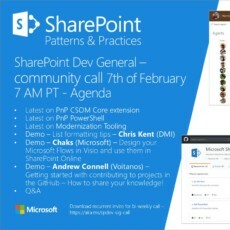 The SharePoint PnP Core Microsoft Team also hosts community calls on a weekly basis that help provide the SharePoint community with regular updates and demo’s on new features. Each week, the theme of the call flip-flops between General SharePoint Development and the SharePoint Framework. There is also a monthly call that summarizes the previous months updates and gives recognition to all the community members that contributed that previous month. 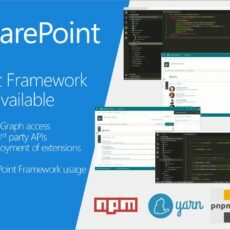 It can include statistical updates on SharePoint Framework usage, a platform roadmap, how other services, such as Microsoft Flow connect to SharePoint and other various updates. The call also always includes a demo or two of features for users and developers to make the best use of SharePoint and it’s related services. What I didn’t mention though, is who performs the demo’s. It’s not Microsoft employees acting out a perfectly scripted, smoke and mirror demo that feels more “salesy” then informative or instructional. 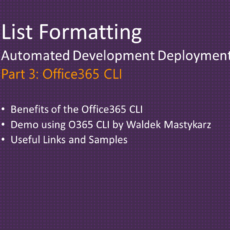 No, these demo’s….they are almost always by members of the community that want to show off a SharePoint solution they have passionately developed or a productivity tip in how they use SharePoint. At this point, did they have to fill out a lengthy application, detailing why their demo and passionate idea was worthy by some elitist counsel or governing body within PnP? NOPE!! The community member simply had to answer if they could present their demo on a specific date. No judgement of the community member by Microsoft occurred in deeming if the demo content or the community member was worthy. 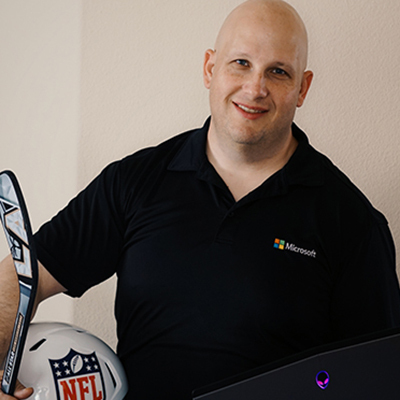 Quite the contrary, Microsoft opened it’s doors to the community…you & I….and said, “We want you to show off your passion and we are going to help you show it off”. Then Microsoft takes it a step further…..they evangelize YOU and YOUR demo! WAIT? WHAT?? YES! Microsoft broadcasts in multiple social media outlets the community call and the fact that YOU are presenting a demo! That’s incredibly awesome and empowering to me….Microsoft advertises you and I, because we decided to get involved, share our passion and make a difference. While we laugh, there is truth to the McFly example. I don’t think there is a computer programmer on earth that doesn’t worry about his or her work being criticized and made to feel worthless. Well guess what? I’ve been on ALOT of PnP calls (See the screenshot summaries I blog about every week…#ShamelessPlug) and NOT ONCE have I ever heard Vesa Juvonen or Patrick Rodgers (the community call hosts) tell anyone that their demo was not worthy of the community….EVER!! Not once has a community member attending the call criticized the other member performing the demo for wasting everyone’s time…NOT ONCE!! Quite the opposite in fact!! The PnP community is 100% about inclusion, helping and being positive….from the top to the bottom! Now I won’t miss a PnP community call if you paid me too! (Unless your like Scrooge McDuck and have a vault of money I get to have and swim in…ok, not even then, lol, that’s how much I appreciate the PnP community!) I even attend while on vacation. Don’t worry, family approved. Was it a little scary the first time, raising my hand and finding the courage to believe what I wanted to share had value to others? Sure. Do I regret taking that action? Not one bit….and neither will you. On November 22nd, 2018, there were two first time presenters on the SharePoint Framework community call, Kemal Sinanagic and Anoop Tatti. I spoke with both before and after their demo’s, told them how much I looked forward to their demo and how they would do awesome. Even though they both said they were nervous, BOTH said they felt their demo was warmly welcomed by the community and were both excited to present again on a future call. Now it’s your turn…..join the community….raise your hand…everyone wants you to be there!!! The next topic in this series will cover “Community Contributions” and will provide details on how you can contribute your own samples to the world with the help of the PnP Community. Stay tuned!